A good day starts with a good night. What time is it? It’s adventure time! 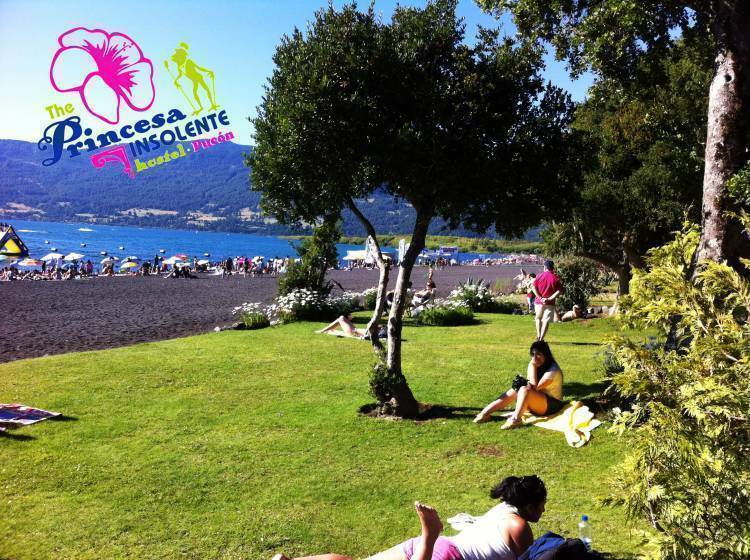 Say good bye to the boring cities and the grey landscapes, come to us and enjoy the nature and quiet lifestyle of The Princesa Insolente Pucon. 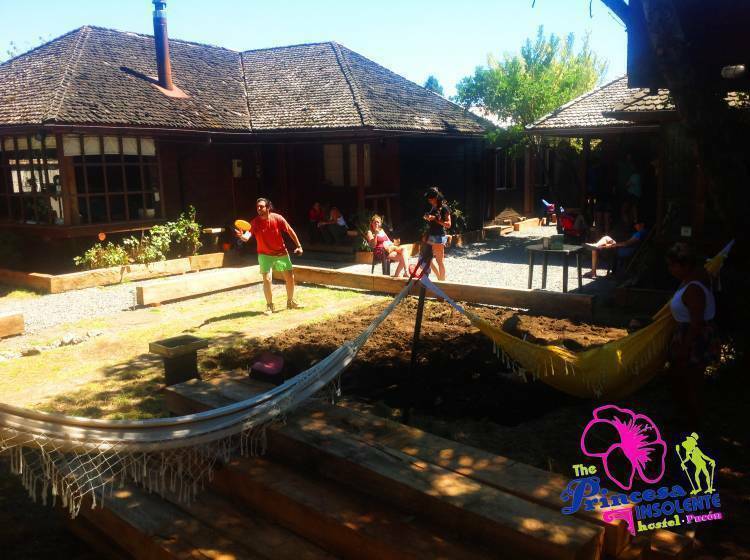 With a direct view to the Villarrica Volcano our hostel is ready to receive you with open arms. 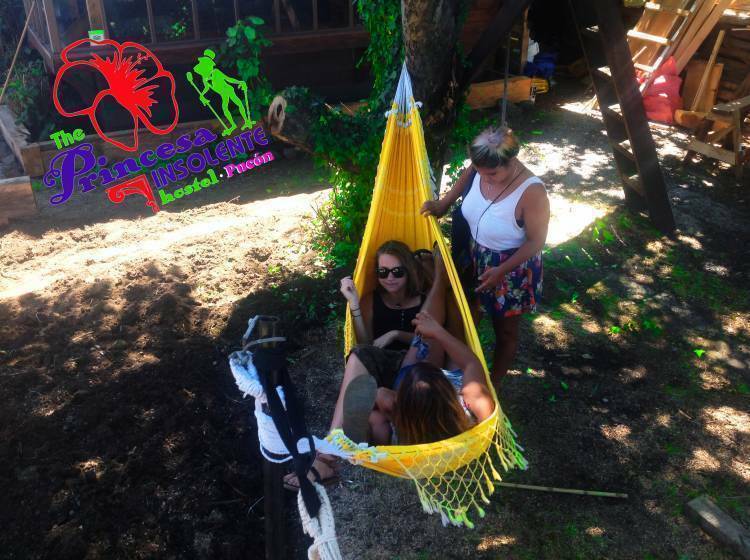 Warm, charming and friendly staff and all the facilities that you need for your adventure. New mattresses, high speed Wi-Fi, stove for cold days, a big green area and of course a nutritive breakfast for every new day, that way you will have enough energy for your southern adventure. Princesa Pucon is not the right spot for lazy people but anyway we know this, every single adventurer traveler needs be a sack of potatoes some times, and for that days we have a really big TV with Netflix and a lot of movies, but always its better keep moving, so our staff is ready to give you the best tips for your travel in the south, just ask for info: Hot springs, rafting, trekking, horse riding, fishing trips, canopy, volcano and more! 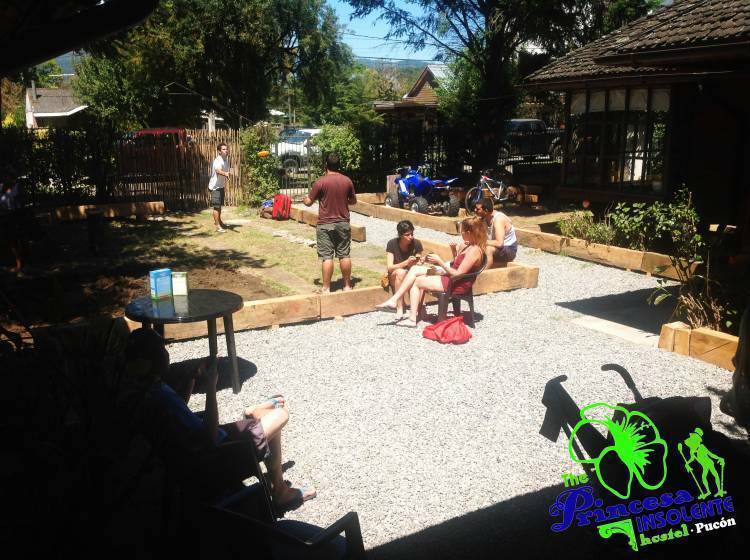 The Princesa Insolente Hostel Pucon is a medium to small characteristics Hostel. Our reception works from 08. 00hrs until 23. 00hrs. In case you will arrive after or before this time please be sure to let us know by email before. 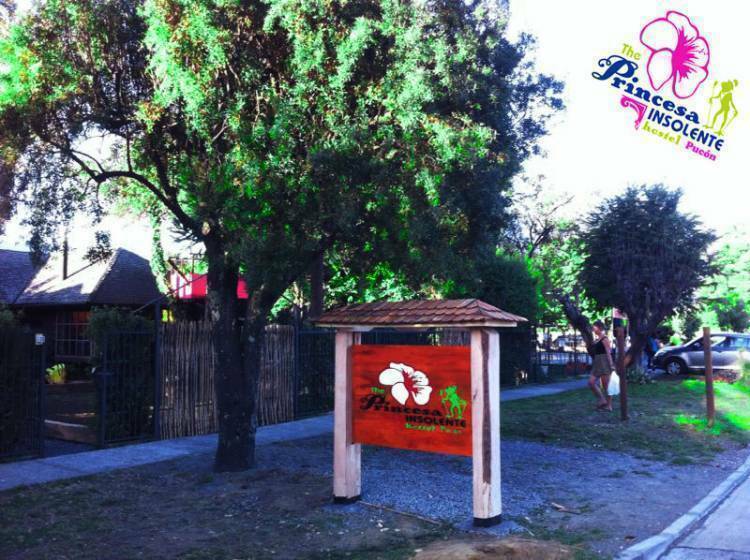 We are in the heart of Pucon, in the most trendiest location. You must cancel or modify your booking with 48 hours in advance. In case of a late cancellation or No Show, you will be charged the first night of your stay. We are set up at Colo Colo 284 in the corner with Urrutia, in the heart of Pucon. Go through Camino Internacional up to Colo Colo (where is Eltit big supermarket), turn right and in the first corner you will crush with Urrutia, that is our corner! From Jac or Pullman Bus Station: 8 minutes walking. Go through Palguin to the north. The 2nd is the main street O'Higgins, turn to the right, then in Colo Colo st. to the left, and there, just behind the supermarket is our corner!